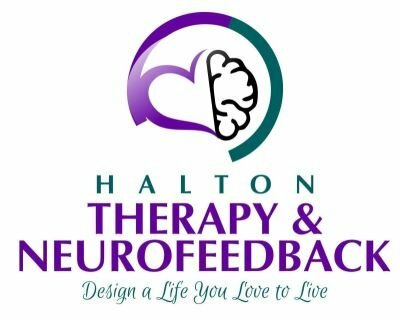 NeurOptimal Neurofeedback is not a therapy or "treatment" but rather a method of training the brain. As the brain starts functioning more optimally, unpleasant symptoms naturally tend to decrease while enjoyable "symptoms" (feelings of calmness and general well being) tend to increase. NeurOptimal is completely safe as no frequencies are sent to the brain. Sensors are attached to the scalp and ear lobes, and the client listens to music and, if they wish, watches moving images upon a tablet. The device reads the signals of the brain, recognizes when it is about to shift from one state to another. When it recognizes that, a "click" sound happens in the music and it is comparable to a mirror being held up to the brain saying "this is what you were about to do. Is this what you wanted to do?" and the brain makes its own choice in how it responds. In this way sessions are often quite relaxing and there is no risk of harm. The brain is not pushed in any particular direction but rather the brain's neuroplasticity and drive to find a state of natural balance supports transformation in taking place. Those who train with NeurOptimal may experience improvement in a very wide range of areas. Improvement is typically noticed in as wide ranging areas as sleep, anxiety, depression, PTSD, trauma, stress, ADHD, OCD, autism spectrum disorders, acquired brain injuries, chemo brain, stress, alzheimers, learning disabilities, sports performance and much more.